Placenta accreta, a condition affecting pregnancies, has appeared frequently in recent news headlines. Kim Kardashian West announced that she and Kanye West will be using a surrogate to carry their third child due to the life-threatening issue. Kate Hudson is receiving a lot of backlash for an insensitive remark she made in Cosmopolitan’s October issue regarding C-sections (a procedure that may be medically necessary for women experiencing the condition). And, just this month, a young doctor helped walk a father in Miami through delivering his girlfriend’s placenta in the midst of Hurricane Irma. These are all examples of the impact of placenta accreta. For the family in Miami, the weather hindered an ambulance from reaching the family, so the baby was delivered at home. But when it came time to gently tug on the placenta, it was stuck and wouldn’t come out. Dr. Kendra Anderson of Jackson Memorial Hospital was called to instruct the father, David Knight, on how to cut the cord. Placenta accreta is one of three irregularities in which the placenta attaches too deeply into the uterine wall and can’t easily separate from the wall post-delivery. Manual attempts to detach the placenta can result in life-threatening hemorrhaging for the mother and can cause damage to the uterus and other organs during removal. At this point, it had been 36 minutes since the baby was born. Typically, the placenta should be delivered within 30 minutes of childbirth. If it hasn’t been delivered, there’s a strong possibility that the mother has placenta accreta. Anderson realized how severe the situation was — if Knight pulled at the cord too hard, he could invert his girlfriend’s uterus and kill her. She calmly walked Knight through massaging his girlfriend’s uterus to encourage the placenta to come out and then to put pressure on her pubic bone while gently pulling on the cord. Ultimately, the placenta was delivered successfully. But for some women, this isn’t the case. According to the American Congress of Obstetricians and Gynecologists, one in every 533 pregnancies resulted in placenta accreta between 1982 and 2002. 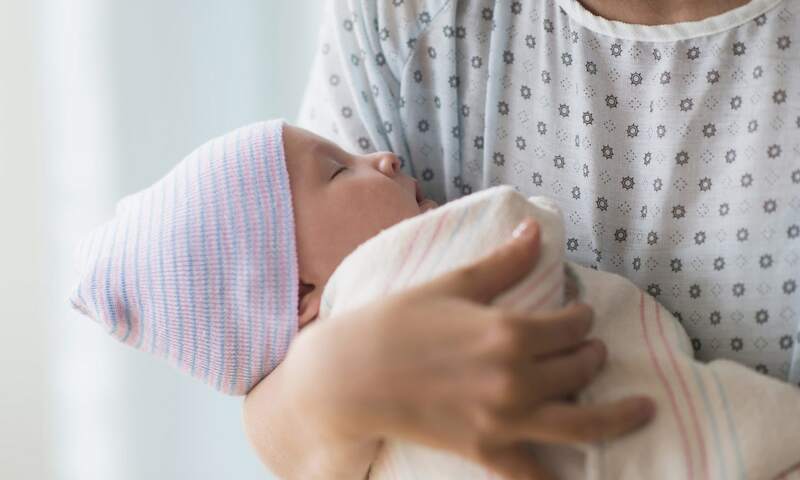 The specific cause of placenta accreta remains unknown, but according to March of Dimes, scarring from a uterine surgery or a previous cesarean delivery can add to the likelihood of developing placenta accreta. In addition, pregnant women whose placentas either partially or fully covers their cervix (a condition known as placenta previa) may also be at a higher risk of developing placenta accreta. While placenta accreta is the most common of these irregularities, placenta increta and placenta percreta are two other severe conditions that occur when the placenta roots itself too deep into the uterine wall. With placenta increta, the placenta attaches deeper into the wall without penetrating into the muscle. Placenta percreta occurs when the placenta penetrates through the entirety of the uterine wall and attaches to another organ. To learn more about placenta accreta, be sure to check out the International Cesarean Awareness Network’s Accreta Awareness Month programs throughout October. As ICAN’s website points out, for many women, the first time they hear the word “accreta” is when they are diagnosed. But given that cases of accreta are on the rise due to high cesarean rates, chances are you will know someone in your lifetime that will face this diagnosis.